Federal Polytechnic Ilaro ND admission list (1st and 2nd batches) for 2018/2019 academic session are out. The released ILAROPOLY list is for admission into full-time National Diploma programmes. The lists have now been uploaded to the institution’s portal. Candidates who applied for admission into National Diploma programmes and took part in the 2018/2019 Post-UTME screening of Federal Poly Ilaro are hereby informed. Information on how much to pay as acceptance fee and other requirements for admission have been released too. Follow the steps outlined below to check your status. N.B: Please note that the deadline for the payment of acceptance fee for the ND FULL TIME THIRD LIST is FRIDAY SEPTEMBER 28, 2018. 1. Accept the admission offer. You can also click download to save the file to your device (phone or computer). 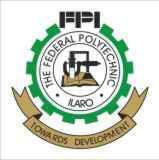 Next for you is to pay Federal Poly Ilaro Acceptance fee and start admission registration. Congratulations to all candidates whose names are listed on the released Ilaro Poly 1st and 2nd Batches admission list for 2018/2019 ND candidates.